Educators in Reggio Emilia, Italy, use a distinctive innovative approach that supports children's well-being and fosters their intellectual development through a systematic focus on symbolic representation. From birth through age six, young children are encouraged to explore their environment and express their understanding through many modes of expression or "languages," including verbal communication, movement, drawing, painting, sculpture, shadow play, collage, and music. This organic strategy has been shown to be highly effective, as the children in Reggio Emilia display surprising examples of symbolic skill and creativity. Carolyn Pope Edwards is a Willa Cather professor at the University of Nebraska, Lincoln, with joint appointments in the Departments of Psychology and Child, Youth, and Family Studies. 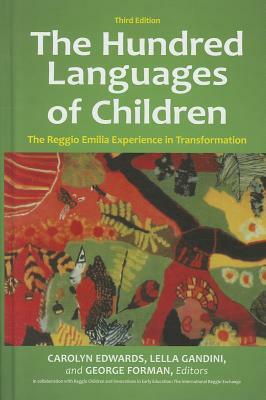 Lella Gandini is Reggio Children liaison in the United States for the Dissemination of the Reggio Emilia Approach and associate editor of Innovations in Early Education: The International Reggio Exchange.George Forman is professor emeritus of education at the University of Massachusetts, Amherst and president of Videatives, Inc.